Practical advice on everything from making the bed to shaking hands to flirting, all from experts in their fields. 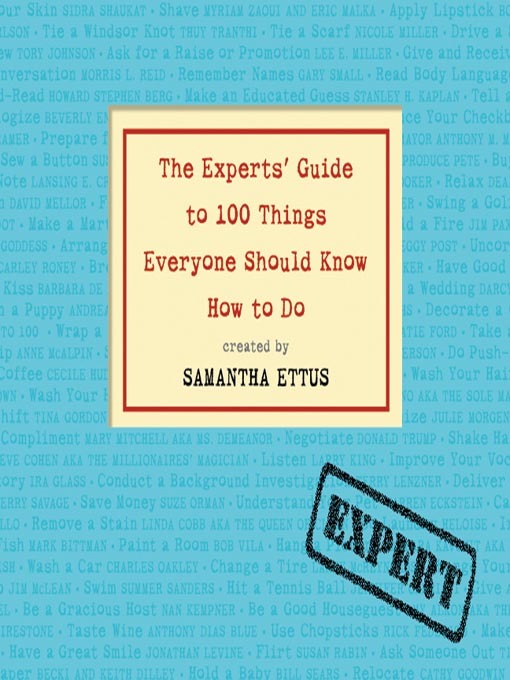 A "Cliffs Notes for life," this practical guide features 100 original essays by leading experts from around the world who offer their unparalleled insights into how to perform everyday tasks, from remembering names to ironing a shirt. It features both the famous (like Suze Orman) and the lesser known (like the head groundskeeper at Fenway Park). Hear a range of experts: everyone from Donald Trump (negotiating) to Stephen Covey (managing your time) to Debbi Fields (baking great cookies). Let Ira Glass teach you how to tell an interesting story, and Larry King explain the art of listening. Read a Newspaper Arthur Sulzberger Jr.